Remember this year's Surf Excel Holi ad with the #RangLaayeSang? The one that received mixed responses? The story that depicted "how the colours of Holi can truly be the colours of oneness - melting differences & bringing people together," received some backlash from some sections so severe that #BoycottSurfExcel was trending on the internet. However, a recent picture taken at the CPA College of Arts and Science in Kerala’s Malappuram district, has been going viral for all the right reasons. The picture shows how on Holi a group of students providing a safe passage to another Muslim student who was going to a local mosque. 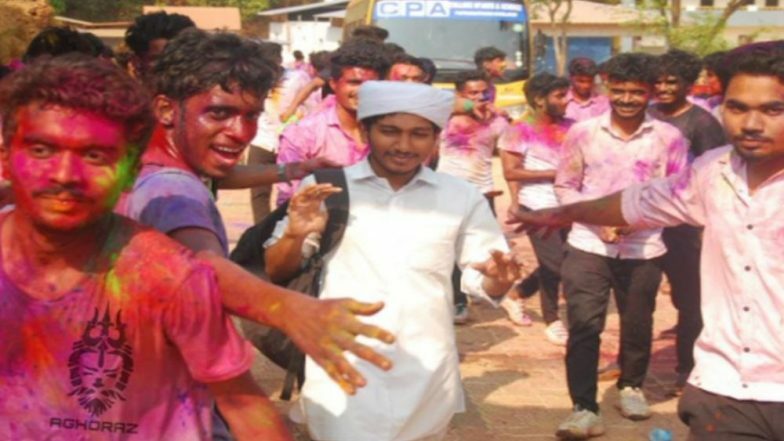 The picture was doing rounds on the internet with the caption: "Students of a college were celebrating Holi when a student walked by. They took care to not spray colours on him as he was heading for the Mosque. What Surf Excel debate? Life is good here. Love my Kerala ♥ (P.S now please don't boycott us for this. We are like this only)"
Well said. We r proud. This post is considered something positive taking over the internet. However, there were a few people who called the picture staged, we really don't know how authentic the picture is.